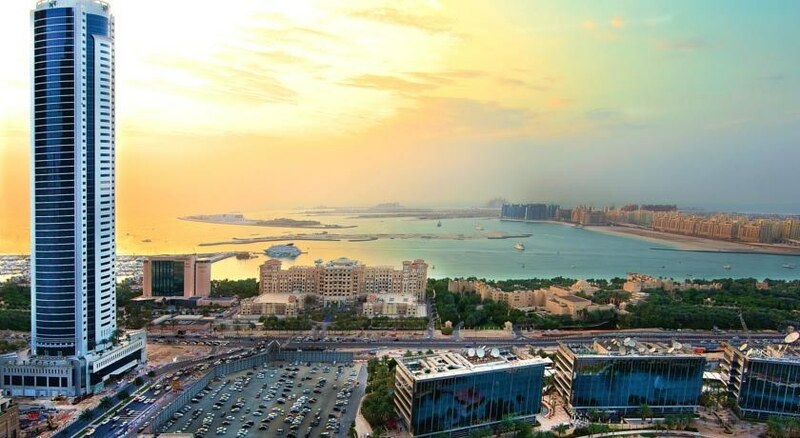 Located in the heart of Dubai's Media City, the Arjaan by Rotana overlooks the Palm Jumeirah Island. 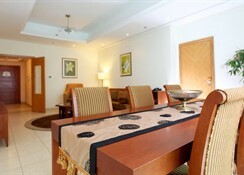 It offers luxurious accommodation along with a temperature-controlled pool, hot tub and a modern gym. Arjaan by Rotana's suites and apartments feature contemporary Moorish-style interiors which open onto balconies with picturesque cityscape and sea views. 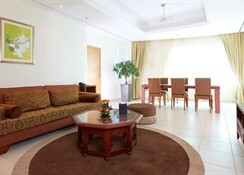 Guests can relax in the open-plan living room with an LCD TV or prepare their own meal in the fully-equipped kitchen. Dining options include a poolside snack bar Veranda and Arabesque Restaurant, which opens for breakfast, lunch and dinner. There is a food court along with a myriad of shops close by. 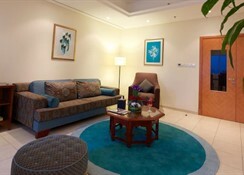 The hotel offers a separate swimming pool for children and baby-sitting facilities. Front desk is open 24 hours a day and the services include dry cleaning, laundry and valet parking. 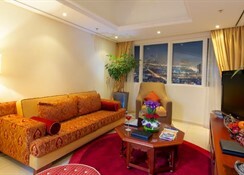 Arjaan Dubai is ideally located 15 km from Dubai International Financial City and 25 km from Dubai International Airport. 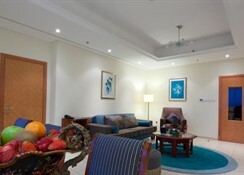 The city's major shopping malls, golf clubs and Dubai Marina can be found nearby. Cosy rooms with tile floors provide flat-screens, free Wi-Fi and kitchenettes with sinks, minifridges and tea and coffeemaking facilities. Expansive suites include marina views, kitchens, washer/dryers and separate living and dining rooms; upgraded suites feature bathrooms with Jacuzzi tubs. There's a female- and family-only floor, as well as room service. Guests can enjoy fresh and healthy food with a live cooking station at the in house Nar and Hail Restaurant, featuring an open kitchen. Specialities include organic international food and Arabic grills. This high-rise hotel is a minute’s walk from the nearest tram stop and 10 minutes on foot from upmarket shopping and cafes at Marina Walk. Parking and breakfast are free. 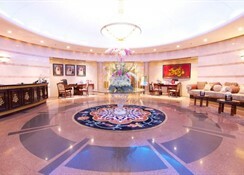 There's a glitzy restaurant, an outdoor infinity pool and a fitness centre with an indoor pool, a kids' pool and saunas.